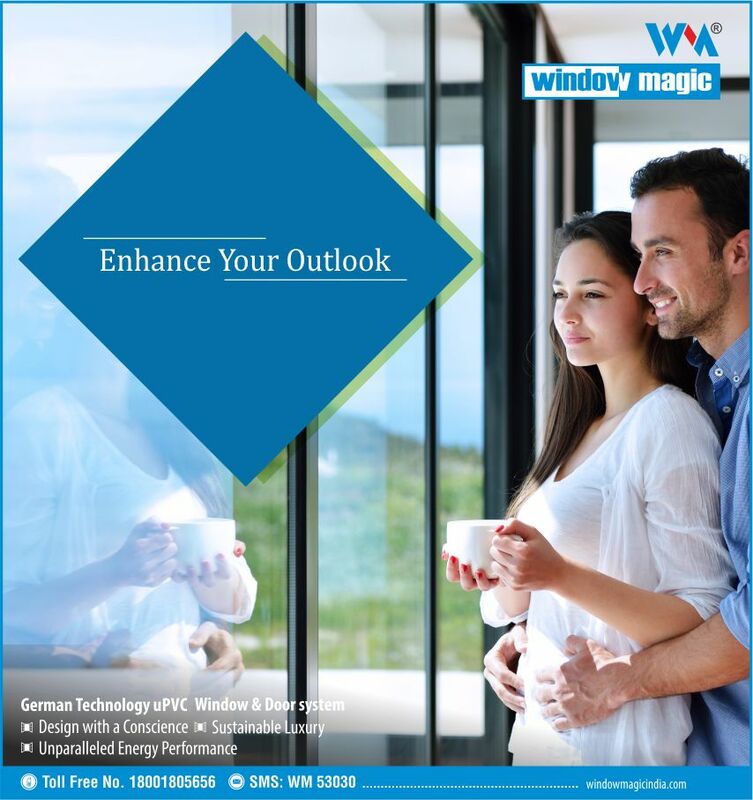 Window Magic brings brand new uPVC product range every year in the market. At Window Magic, our workers’ effort creates customer satisfaction and success across the world. Being the leading manufacturer of uPVC windows in Hyderabad, crafted products are of advanced technology, which meets the high standard quality. You will definitely get different number of matchless benefits from our uPVC products in comparison to other wooden uPVC doors. The collection includes coated profiles with base color with matching shades. The company has done many installations of windows and doors where the experience of our customer in taking service is excellent with no complaints. Our products are easy to handle and need less maintenance. uPVC profiles are beneficial for customers in several ways such as it protect us from unwanted dust, makes way for the ventilation and allow fresh air to come inside your house. Window Magic’s uPVC windows and doors are completely recyclable. It contains calcium zinc stabilizer instead of a lead stabilizer which produces harmful toxic fumes during production and hence causes a lot of damage to the environment. Once discarded, the uPVC products can be reshaped into other useful products. The waste material produced during manufacturing can be reprocessed and energy used for extrusion process is relatively low compared to other materials. Considering all the ecofriendly features of uPVC, Window Magic thus carries a tagline of ‘Green line’ uPVC windows and doors have great resistance against air, water, storm, strong sunlight, etc. It does not rot and is resistant to corrosion and hence secure your family from harmful effects of these upholding elements. The company also offers uPVC sliding windows that are capable of adding extra elegance to your home plus glass sliding windows prices are so reasonable that every individual can avail it without stressing their budget. So, instead of thinking, simply get in touch with Window Magic and give your house an elegant touch.